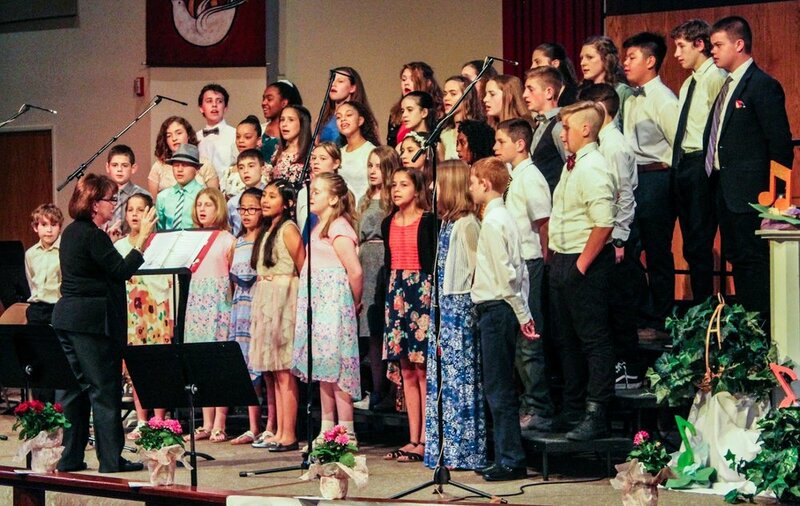 The students in our upper elementary school continue to be challenged through our quality academic program and nurtured through the unique community that a private Christian school can provide. Cornerstone's upper elementary program consists of Grades 3 through 5. These teachers work together as a team to ensure a smooth transition between grade levels. This team approach allows the teachers to work together to support each student's learning needs. The upper elementary academic program upholds high expectations for student learning; our teachers partner with the parents to help each child reach these goals. Our teachers intentionally design lessons to integrate our core values and biblical worldview across the content areas. Students are challenged to think critically as they examine each subject area in the light of a biblical worldview. Our upper elementary classes utilize the same math program in order to ensure a smooth transition between grade levels and to eliminate the possibility of gaps in student skills. The teachers focus on deep understanding of the math concepts as well as mastery of foundational skills. Students in these grades continue with Foundations & Frameworks (F&F), our reading program for Kindergarten to Grade 8. This reading program moves students beyond basic comprehension as it challenges students to think critically about aspects such as character development, plot, and setting. The use of visual tools not only allows students to better understand their reading, but it also aids students as they organize their writing. Students participate in daily Bible lessons as well as weekly chapels. Social studies and science units are reinforced through hands-on projects as well as through field trips. Students also participate in the Academic Fair each spring which features cumulative projects such as their science experiments. Beginning in Grade 3 students participate in music classes three times per week; one choral class and two recorder classes as they prepare for future instrumental instruction. In Grades 4 and 5 students continue with a weekly choral class and receive band instruction twice a week. Each of these musical groups performs at our annual Christmas and spring concerts. All of our elementary students participate in Physical Education twice per week. These classes focus on teamwork, physical fitness, and learning basic sports-related skills. Students in Grades 3 to 5 also participate in weekly library classes as well as art class. Additionally, students visit the computer lab for weekly technology instruction. Cornerstone continues to maintain a developmental approach to education throughout the upper elementary years. First, teachers understand the developmental stages and behavioral expectations of students at these grade levels. They purposefully design their classrooms with this information in mind. Study skills support and training helps to prepare students for the independence of future grades. There are many opportunities for students to develop their social skills through cooperative learning projects. Specifically, Foundations & Frameworks (F&F), the reading program, encourages thoughtful group discussions, and each unit culminates with a group project called "Intelligent Art." Students gain confidence in speaking and presenting as they complete book reports and other similar projects. Additionally, each class presents a special chapel each year. The uniqueness of having a Pre-K to Grade 12 program on the same campus offers a variety of opportunities for our students to see and to practice servant leadership. Each elementary grade is partnered with a middle or high school class. These partner grades get together throughout the year for fun and for service. Our elementary students are able to see role models of godly leadership by our older students. They also work side-by-side with these older students to complete one or two service projects for the community. Our elementary students also have opportunities to serve our younger students throughout the year as they participate in programs like "book buddies" or when other opportunities naturally arise. Our membership with the Association of Christian Schools International (ACSI) allows our students to engage in activities with students from other schools. Typically in the fall, our students in Grades 6 through 8 participate in the ACSI District Spelling Bee. We often have CCS students who place high enough to qualify to attend the ACSI Regional Spelling Bee in Lancaster, PA. The students in Grades 3 through 8 also participate in ACSI's Math Olympics each spring.